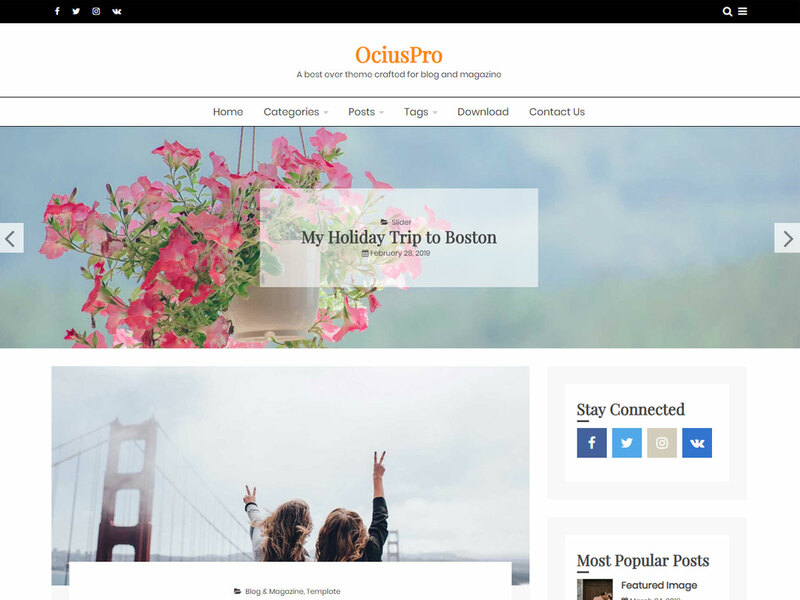 The OciusPro is easy to use modern premium WordPress theme with lots of useful features. It is a search engine optimized theme with built-in schema.org structured data to rank your website on search engines faster. It comes with dummy data so that even a layman can easily setup it. 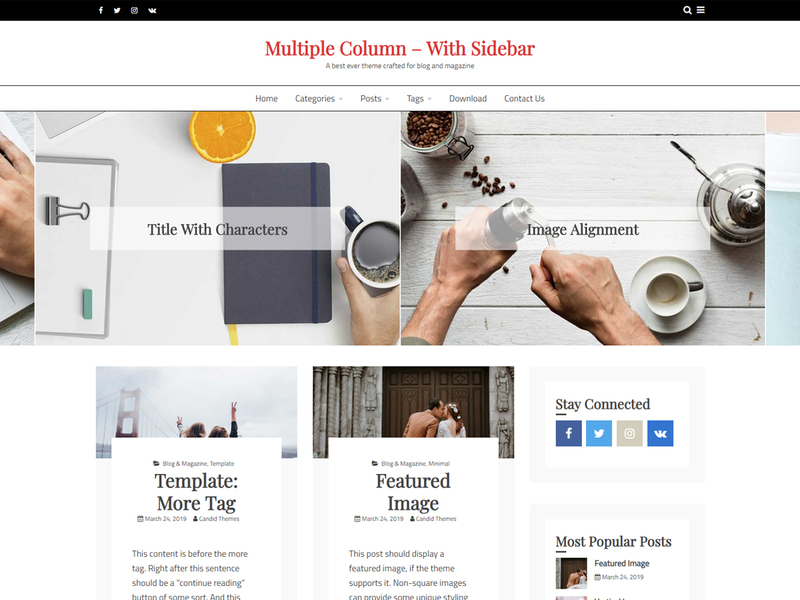 Furthermore, OciusPro is best ever crafted free WordPress theme for Blog, news, and Magazine. 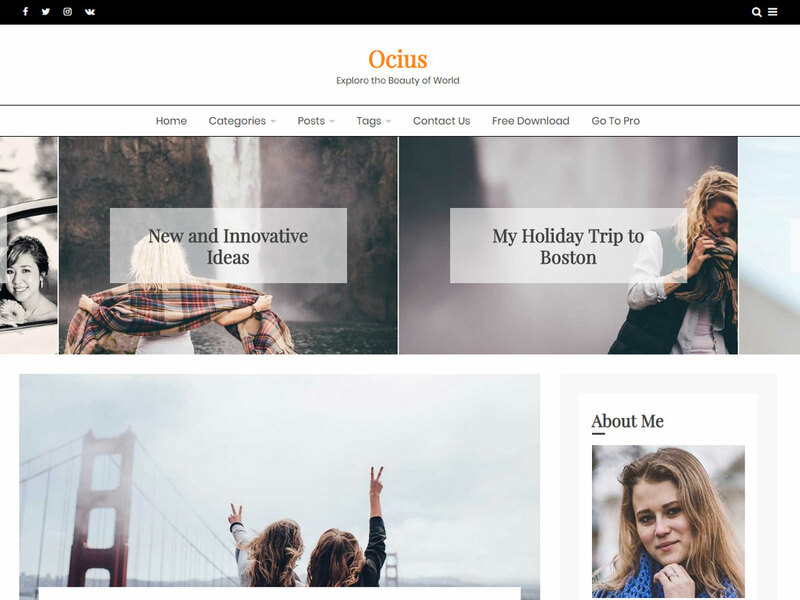 The OciusPro is a simple, easy to use, modern and creative, user-friendly WordPress theme with typography, fonts and color options. In addition, OciusPro is responsive, cross-browser compatible and child theme ready. The OciusPro comes with added custom widgets for a social, recent post and author, sticky sidebar options, footer widget, sidebar options, meta option, copyright option, off-canvas menu, social options, etc. OciusPro is clean and minimal design with light weight theme for easy loading. 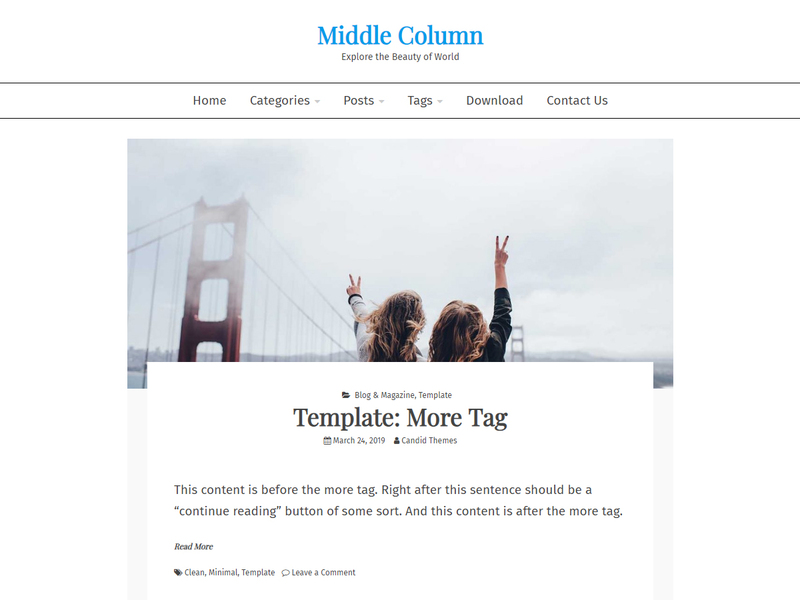 You will get multiple column in blog page. On blog and home page. 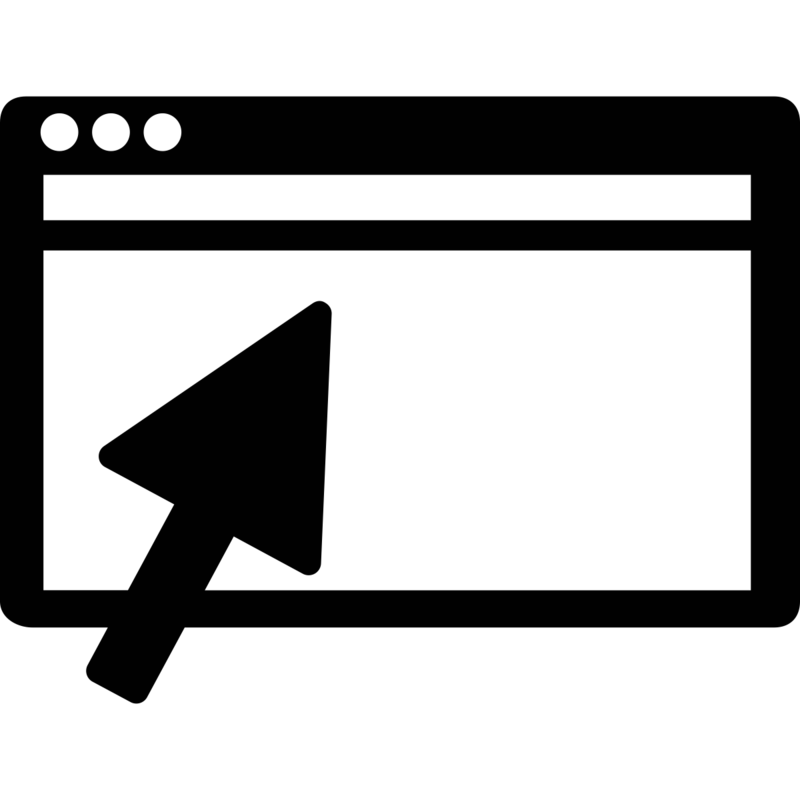 Awesome slider section is available in pree version. Both carousel and full.